The ongoing development of high speed mobile data networks has transformed telemedicine – remote diagnosis and direction of treatment – leading to improved outcomes for a wide range of medical conditions. However, many existing telemedicine solutions rely on commercial 3G and 4G mobile telecommunications technologies, and are of little use in rural communities and areas with poor mobile network coverage. “SatCare aims to address these issues by combining POCUS systems with satellite communications to enable rapid sonography and remote diagnostics in isolated locations and areas with prolonged journey times to secondary care. 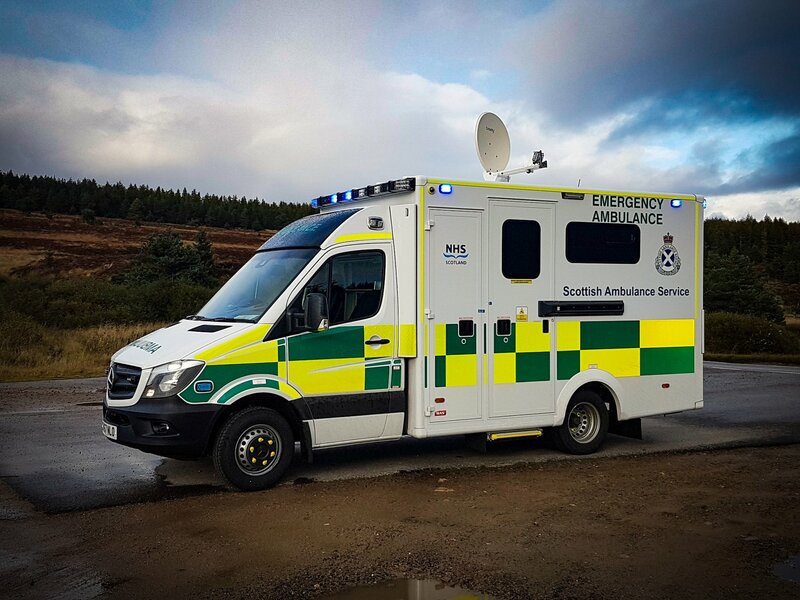 Co-ordinated by the University of Aberdeen’s Centre for Rural Health and funded by the European Space Agency, this collaborative project will see five ambulances equipped with FUJIFILM SonoSite’s M-Turbo systems and bespoke ViaSat mobile satellite communication systems. Dr. Leila Eadie, Research Fellow at the University’s Centre for Rural Health, explained that POC ultrasound is now widely regarded as an essential tool in emergency care in a hospital setting. “We are hoping to bring some of these benefits to the scene of a medical emergency, said Dr. Eadie. “Although the pre-hospital deployment of ultrasound is not new, previous studies have highlighted that the biggest barrier to its effective use is interpretation of ultrasound images. “Working in partnership with the Scottish Ambulance Service, we are training paramedics from five ambulance stations around the Highlands to perform pre-specified ultrasound scans designed to provide effective diagnosis of a number of critical conditions,” said Dr. Eadie. ”The images are transmitted in real-time to an experienced emergency clinician at Raigmore Hospital – the major tertiary hospital in the Highlands – for interpretation, in combination with a video summary of the patient’s condition and any available medical history. This removes the burden of image analysis from the ambulance crew, and allows the clinician to provide remote decision support, helping to direct the patient’s pre-hospital treatment,” continued Dr. Eadie. Dr. Luke Regan, a consultant in emergency medicine at Raigmore Hospital, outlined the potential clinical benefits of this approach. “Pre-hospital medicine is about balancing risks and benefits, often in time-critical situations, said Dr. Regan. “Our intention is to create direct analogues of some of the diagnostic ultrasound algorithms that already exist within hospital emergency departments – such as those used on patients in shock or with abdominal pain – in a pre-hospital environment. “We have chosen to focus this study on a number of potentially life-threatening conditions – major trauma, chest pain, shortness of breath, abdominal pain, and hemodynamic shock – which could benefit from more accurate early diagnosis,” he added. “For example, severe shortness of breath could be due to pulmonary edema, pneumonia, pneumothorax, COPD, or right heart failure; trying to determine the correct course of treatment based solely on the clinical presentation could lead to incorrect or ineffective treatment. But if you perform an ultrasound scan at the scene, and have a hospital-based specialist interpret the images, the ambulance crew will have a much more comprehensive picture of the patient’s condition, and be able to act accordingly even before the patient reaches the hospital. “The additional information these scans provide also has the potential to affect the patient’s management once they reach the hospital. For example, they could be redirected to a specialist center, or taken directly to the cath lab or operating room without the need for triage on arrival. By knowing more about the patient’s condition before they arrive, we can have the appropriate resources – surgeons, gynecologists, blood products, etc. – in place to ensure the most effective care. “The choice of POC ultrasound system is crucial to the success of this type of initiative,” Dr. Regan added. “We need an instrument that is both compact and robust enough for use in a pre-hospital environment, and is intuitive to use in a high pressure emergency situation. 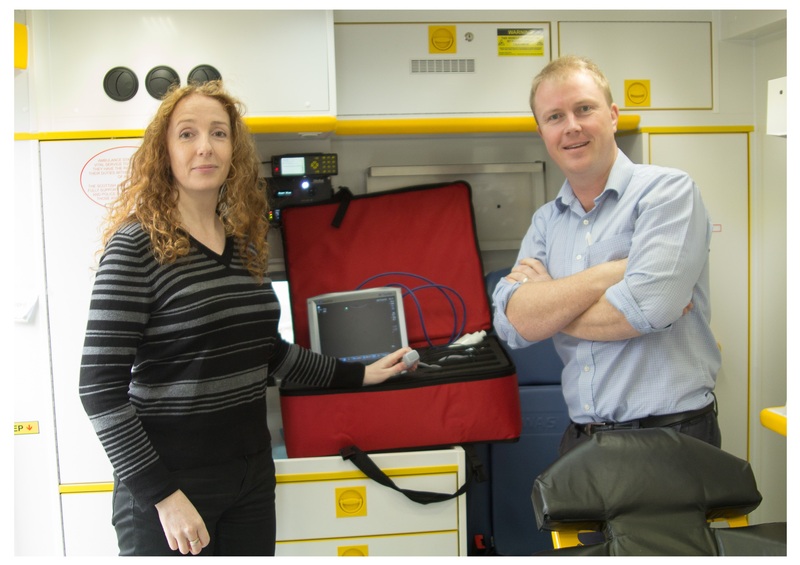 Having worked with various POC ultrasound systems during my career – including in a pre-hospital setting as a member of the Sydney Helicopter Emergency Medical Service, which employed SonoSite equipment – I knew that SonoSite systems were ideally suited to this setting. *Medical scope of practice can vary by state, country and/or local jurisdiction.